I had a great month! 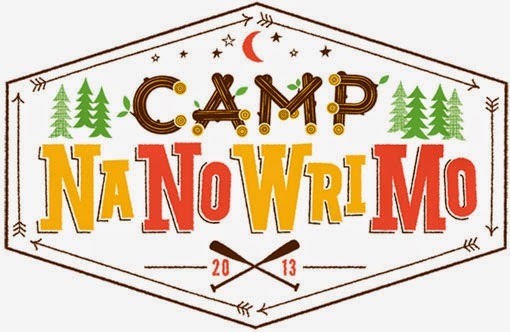 I 'won' Camp NaNoWriMo for July 2014, finishing a first draft of my next novel (tentatively titled, "In The Deep Woods") on the evening of July 24th (Gail's Birthday). The first draft is nearly 76k words, and I'm putting it out of my head for a couple of weeks before coming back to take a look at it. Gail is giving it a first read now, and we'll work together to poke, and plug holes in the novel once she's finished. 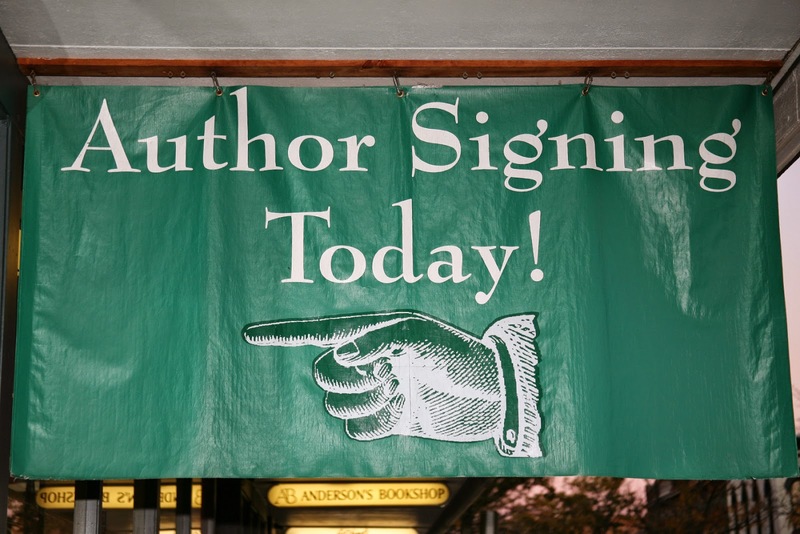 I had a couple of appearances as an author this month ... 2 signings and a reading. I always have fun meeting and talking with readers, especially ones who might read my books. The reading at Paul Smiths College was my first, and it was a great time with an enthusiastic and interested (although small) group of people. Having spent some time picking selections and preparing the presentation, I loved talking with the people in the room, and sold a bunch of books to boot ... I hope to do more readings in the future. I recently ordered some author bling from Vistaprint ... a cover for my iPhone, and some new cards. 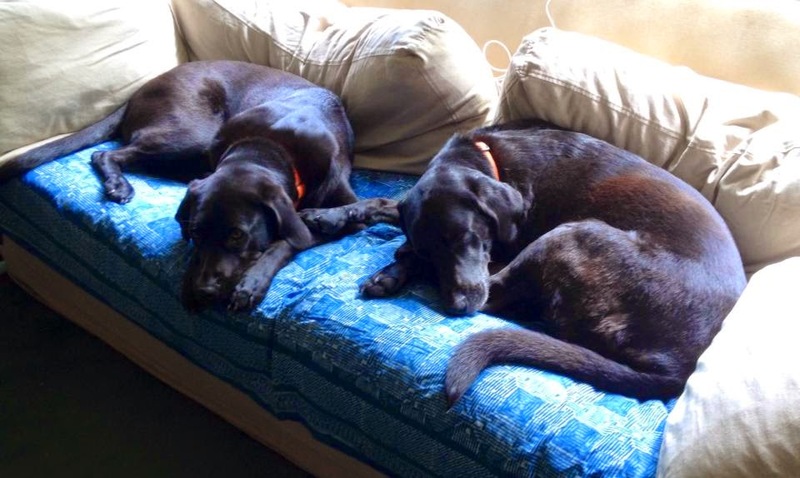 Both arrived in time for the reading yesterday, and were nice to have along with me. Gail and Ben and I are headed off to Nova Scotia for about two weeks ... we're all very excited to explore this neighbor to the north. We'll be taking a ferry from Portland to Yarmouth, driving a slow clockwise loop around the main island and Prince Edward Island (stopping to explore and paddle and hike and whale-watch and sample the fantastic food/drink/culture/vistas along the way). I got an idea for a non-Tyler story (something in the 10k-20k range) that I might use to clear my palate after the July Camp NaNoWriMo. I love Tyler and I love writing him, but I felt myself getting a little sad towards the end of the novel, and this may be just the thing to distract me. 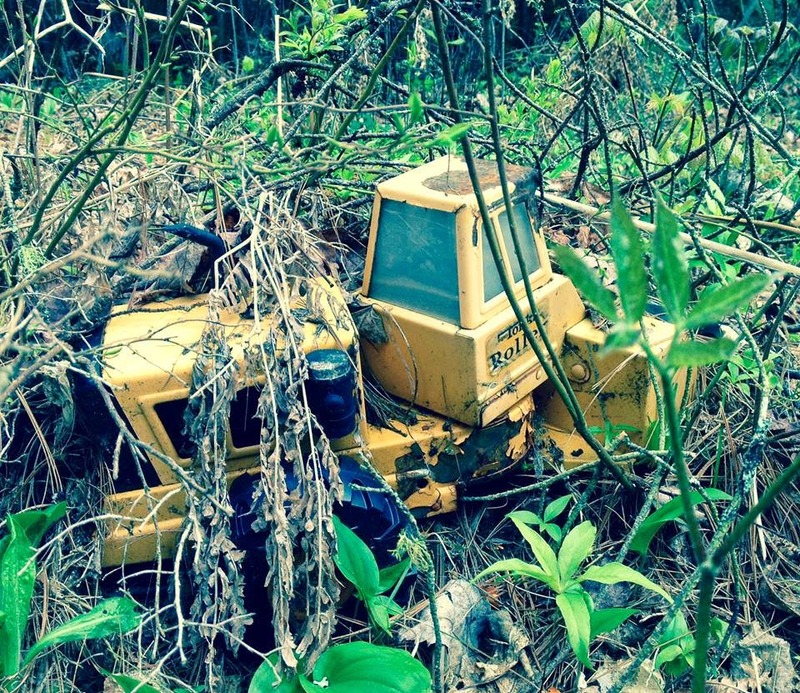 The picture above, taken in our backyard (rear-jungle), was the spark for the story that's still bubbling and growing in the back of my head. 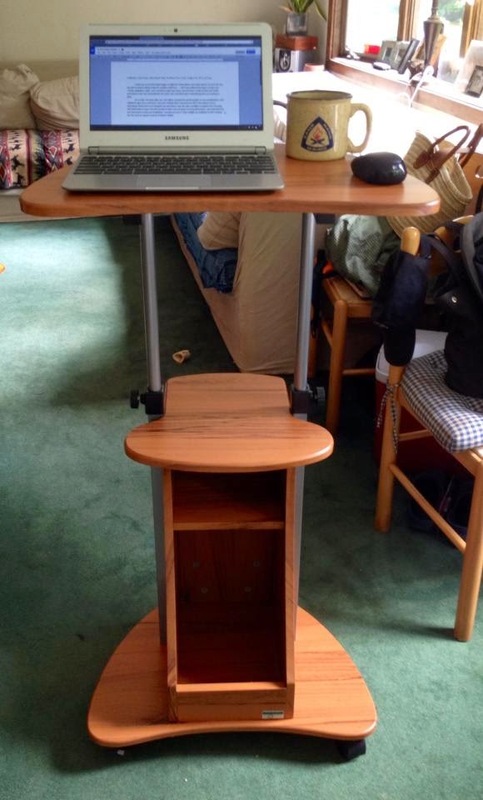 July Update: Now with Exciting News! 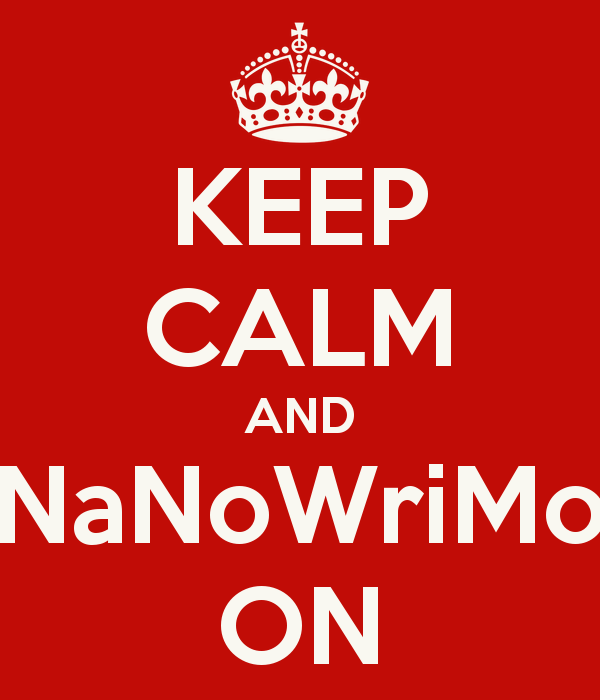 Camp NaNoWriMo is rolling along, and I'm having a wonderful time writing, now that my school year is done. In the first nine days of Camp, I wrote just a bit over 25,000 words for my next novel, and I feel as though things are really coming together. 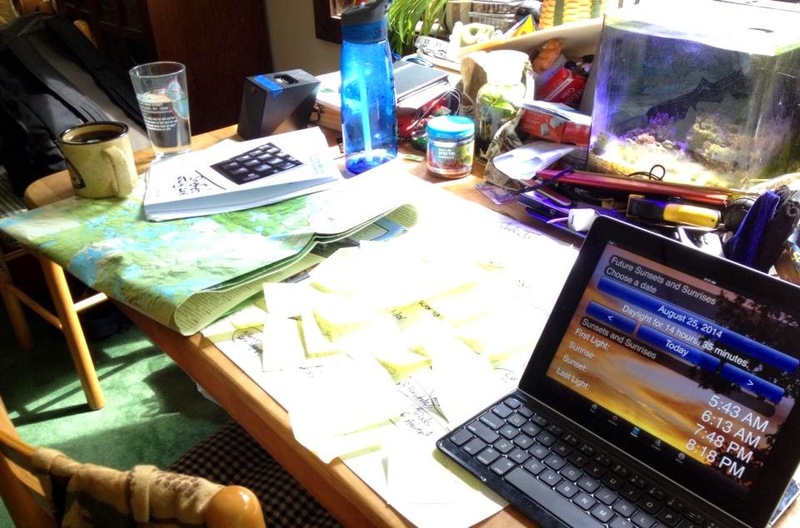 This process does not (by any means) yield a finished novel at the end of the month-long writing sprint ... I hope to have a finished first draft, as I have the previous two summers, which I can work with readers and editors to improve and polish in anticipation of a publication date in early 2015. 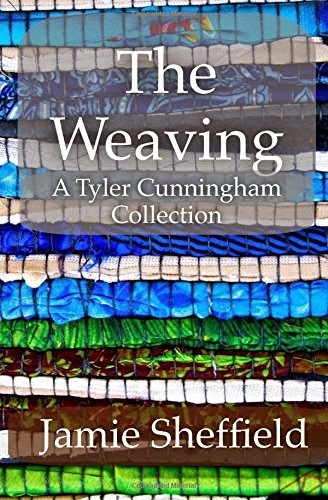 In other news, I am proud of the release of my latest book in print, "The Weaving", which is a collection of the four Tyler Cunningham novellas that explore the origins and backstories of important characters in his world. It's available on Amazon, and should be in local bookstores soon. 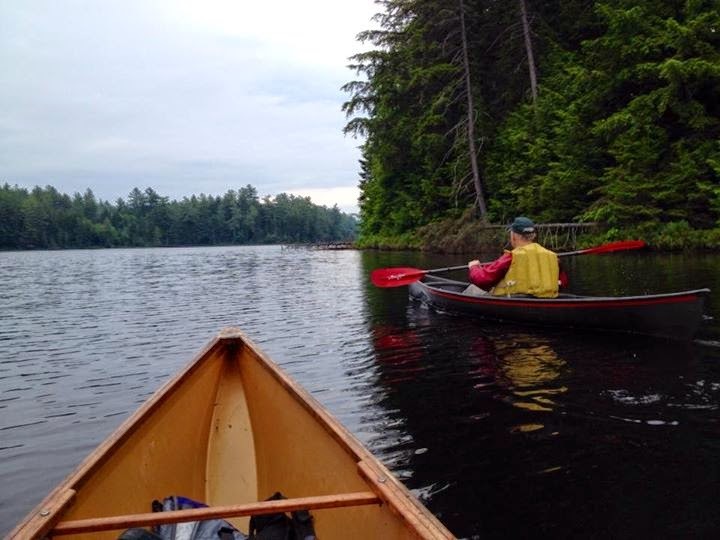 I've also been able to steal time away from the writing desk to take some wonderful canoe trips with my father ... here you can see our Hornbeck canoes balanced on my Element for shuttling. 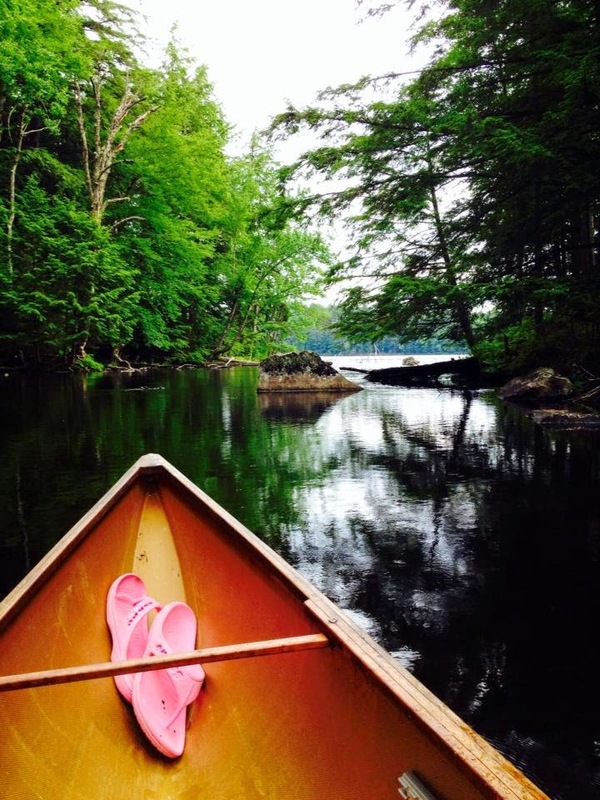 Here's a shot of one of my favorite trips, along with my fancy portage footwear! 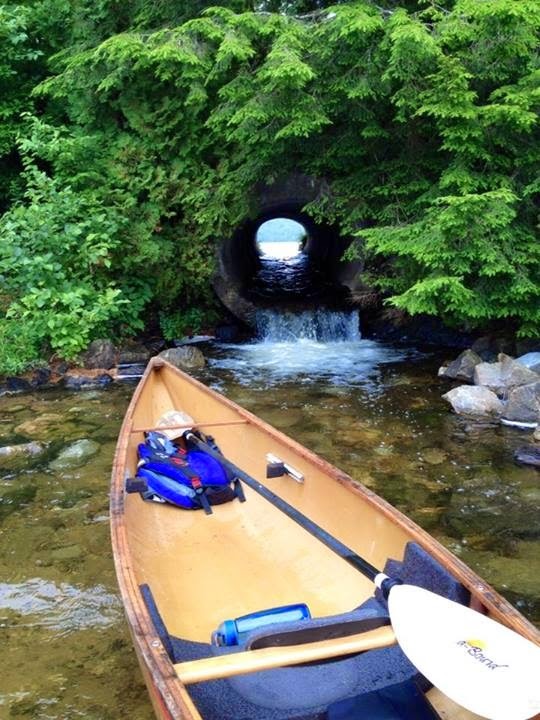 There's a portage over the top, but I like going through this culvert with my boat ... I've been doing it that way for 45 years! The trips are always great, even if the weather isn't! 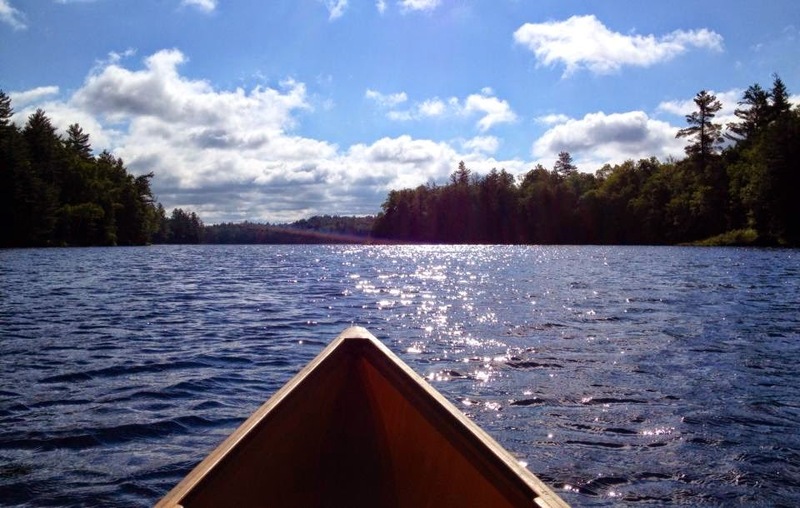 I live, explore, and get to write in a truly magical place! 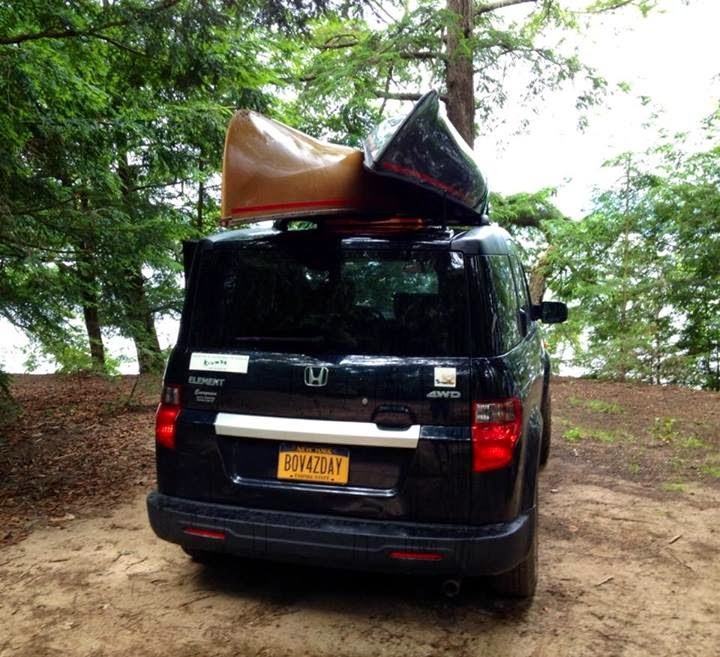 My parents are up for a few more days, and I'm planning on squeezing in another paddle-trip or two before they leave, as well as aiming for 3k words every day ... wish me luck (and be jealous)! 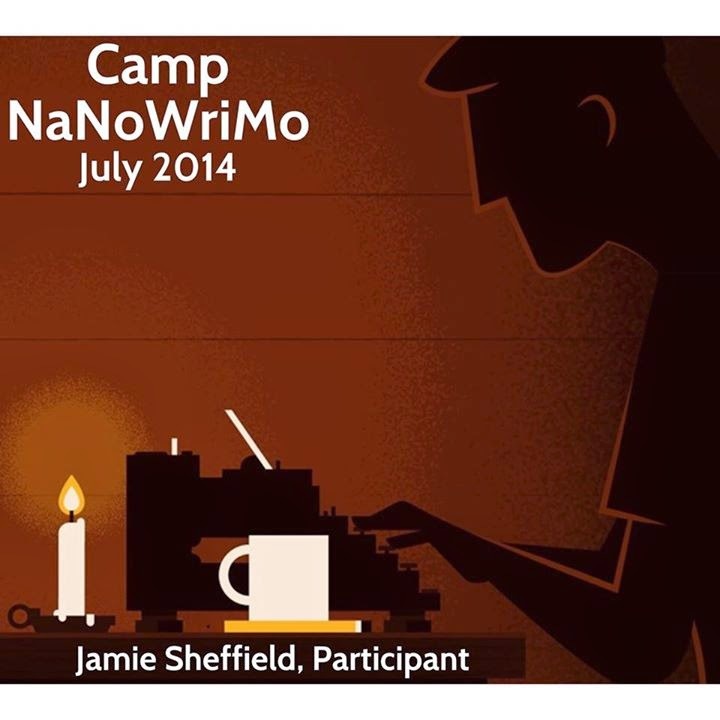 For the third summer in a row, I will be participating in Camp NaNoWriMo, an online writing project in which thousands (tens of thousands, maybe) of people work at writing the first draft of their novel in a month ... in this case, the month of July. The last two years, I was able to produce first drafts of "Here Be Monsters" and "Caretakers", and I'm working/hoping that the third time will be a charm also. So far, I've been able to write a bit more than 5,000 words, out of my goal for the month of 80,000, and the writing has been flowing well so far. NaNoWriMo, which stands for National Novel Writing Month, works for me because of the pressure to produce your writing without worrying about getting it perfect (the idea is not to get it right, but to get it written) ... you can always fix a first draft in the months after you've written it (especially if you have a great reading/editing team, as I do). 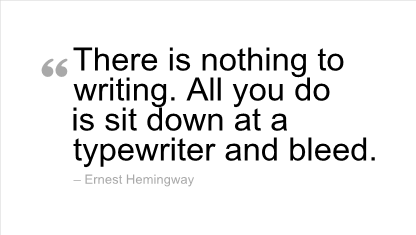 I enjoy writing this way, and if I hadn't heard of NaNoWriMo, I might never have written my first novel, because I don't have time to do it during the school year. It would not be an exaggeration to say that this camp has changed my life ... if you have questions about, feel free to get in touch with me. I'm also excited about the publication of two new books in the Tyler Cunningham Short series, "Fair Play" and "Promises to Keep". They will be joining two previous stories, "Mickey Slips" and "Bound for Home" in a printed collection of shorts in the next week or so ... keep an eye for an announcement about the book!